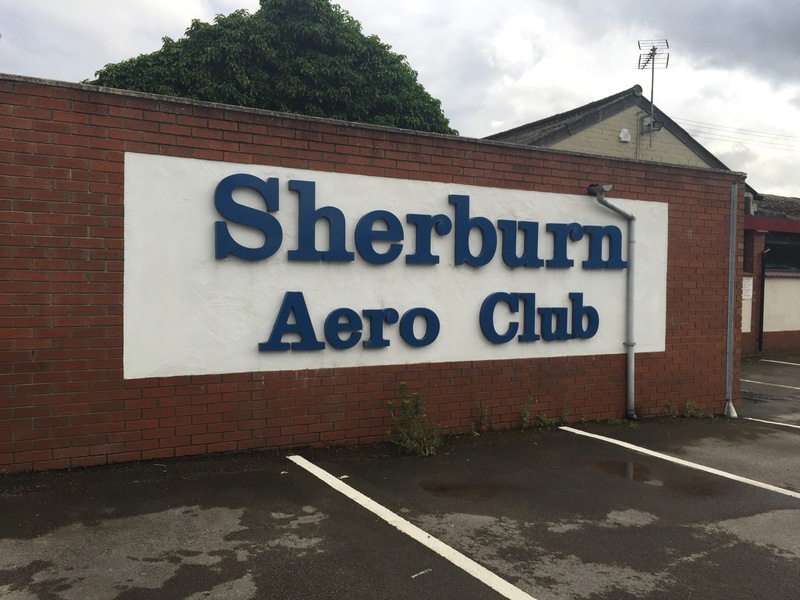 On our last night, Monday 13th July, we went on a visit to Sherburn Aero Club at Sherburn in Elmet.When we arrived, we met Richard, and we went inside and sat down. Richard then told us the rules; No Running, No touching anything, and there would be no flying tonight. We then went outside and he told us about the 2 different areas of the public side where we were, and the live side beyond the gate. Then we went through the gate and over to the plane parked outside the hanger. He told us how all the flaps work and how a plane stays in the air. Then we went in the hanger and looked at the tiny engine and how the propeller works, and if the engine fails, it would glide falling at 600ft a minute. 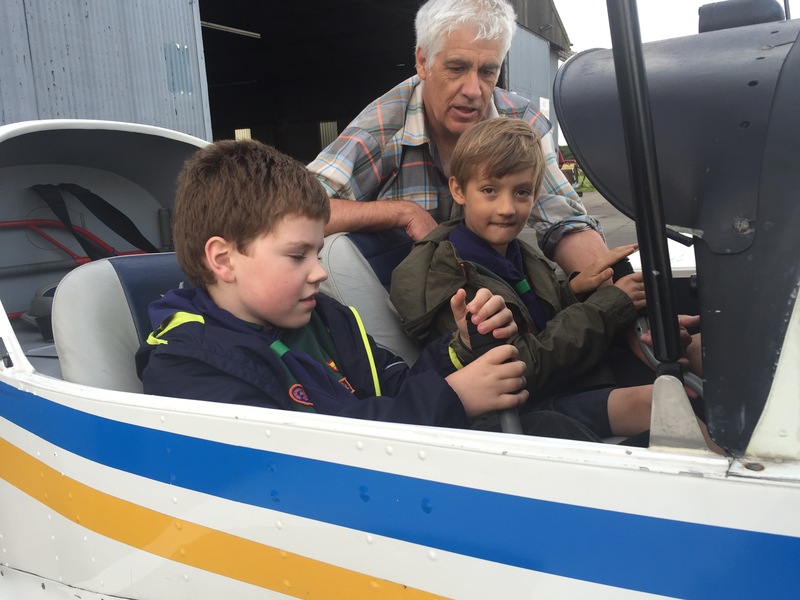 He then explained how an airport works with some of the Cubs taking part as planes trying to land and trying to take off, and how the air traffic controllers make it all work. Then we went to the back of the hanger to look at the 2 biplanes one from 1937 and the other from 1938. We learnt they were very light as they are made of canvas, and that the engines are so poor that they can barely take off, so they need more wing, but it doesn’t matter that it’s on top. 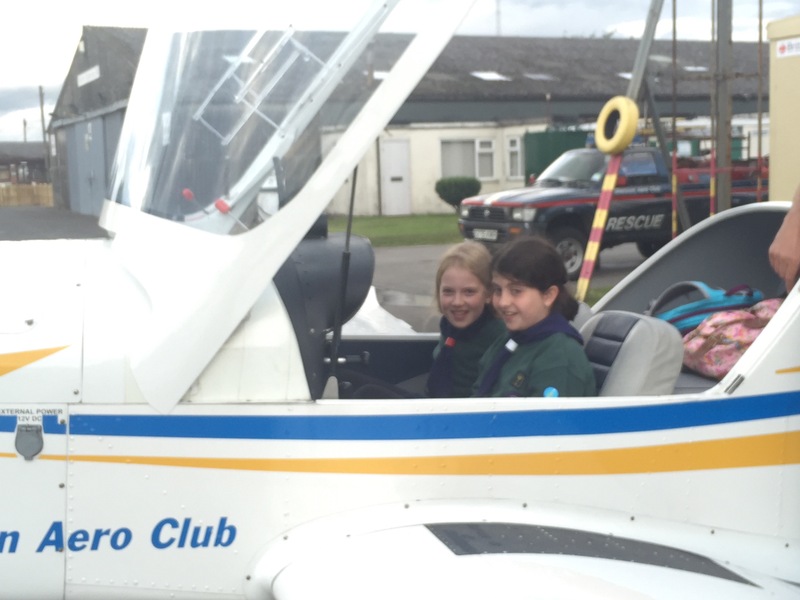 We then got the chance to sit 2 at a time, in the plane outside, playing with the joystick watching the flaps going up and down, and what all the switches and knobs do. We then sat down outside the hanger and looked at the weather, and learnt how clouds form, and how they get full of ice, the darker they are, the more ice they have in them, and if they fly in to these, the wings would get ripped off. Then it was time for the toilet before saying thank you to Richard for showing us around. and also thanks to Barry for organising it, and driving us there.